Psychology faculty, researchers and clinicians in cognition, emotion, informatics, education, and technology. Depts of informatics and computer science. Depts of education. Dr. Wenhao David Huang is an Associate Professor at Department of Education Policy, Organization and Leadership at University of Illinois at Urbana-Champaign. His research interests are mainly focused on designing and validating technology-enabled learning engagement systems and environments across subject matter areas in organizations. Dr. Huang is particularly interested in better designing game-based learning and performance solutions for various groups of adult learners across learning and performance contexts, in order to sustain learners’ interests and efforts in engaging with intended affective, cognitive, and behavioral learning processes. 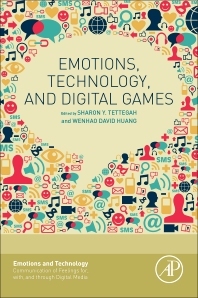 Dr. Huang’s work on game-based learning articulates the relationships between learners’ motivational and cognitive processing, various design-relevant attributes for efficient game-based learning environments, learners’ dilemma when interacting with game-based learning environments where distractions are abundant, and considering game-based learning system as an integral part of the organizational learning and performance solution.